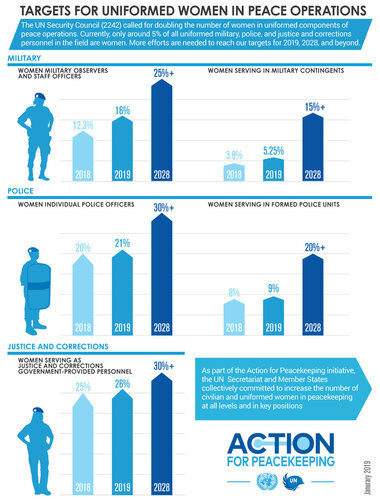 The United Nations hosted the 2019 United Nations Peacekeeping Ministerial on Uniformed Capabilities, Performance and Protection on 29 March 2019 at United Nations Headquarters in New York. 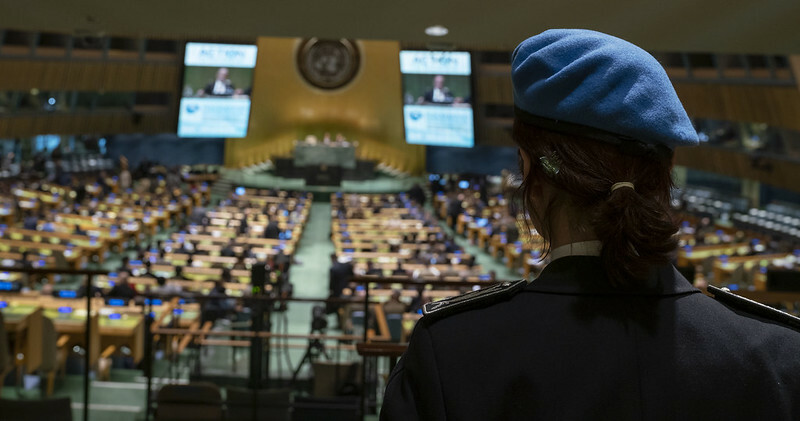 Building on the ongoing effort to strengthen peacekeeping operations through the Secretary-General’s Action for Peacekeeping initiative (A4P) and the previous peacekeeping ministerials and summits in New York (2014), the Leaders’ Summit on Peacekeeping in New York (2015) and the Paris (2016), London (2016), and Vancouver (2017), the meeting presents an opportunity to discuss and generate the specialized capabilities necessary for contemporary United Nations peacekeeping, with a specific focus on uniformed capabilities, performance and the protection of civilians. Leverage political momentum to assist the UN in its reform efforts, further galvanizing Member State support for implementation of A4P commitments. The 2019 Peacekeeping Ministerial will build on the discussions of the preparatory meetings held in Montevideo on training and capacity building, The Hague on protection and performance, and Addis Ababa on women, peace and security. In the course of the meeting, Ministers are expected to highlight progress on relevant commitments made by Member States in the Declaration of Shared Commitments on United Nations Peacekeeping Operations, as well as announce specific pledges of key peacekeeping capabilities requested in the United Nations Peacekeeping Uniformed Capability Requirements Paper, including training and capacity-building support, support to the women peace and security agenda, and related partnership initiatives. The event will be open to media and webcast live on UNWebTV. Delivering a keynote address to the General Assembly ministerial meeting on United Nations peacekeeping, actress, filmmaker, and humanitarian, Angelina Jolie, today (29 Mar) asked for the perspective of women to be taken into consideration in peace negotiations. "United Nations missions often represent the last and only hope for millions of people facing daily threats to their safety and basic rights. The need for peacekeeping troops to have the best possible training and equipment and the highest standards of personal conduct becomes obvious when measured against that weighty responsibility. That is why this meeting is so important, because it is in the hands of the governments you represent to enable peacekeeping to live up to its ideals and the needs of our time."